VIRGINIA - APRIL 2015 - Epic combat Re-enactment, recreation, WW1 The Great War in the middle of battle. Sgt. 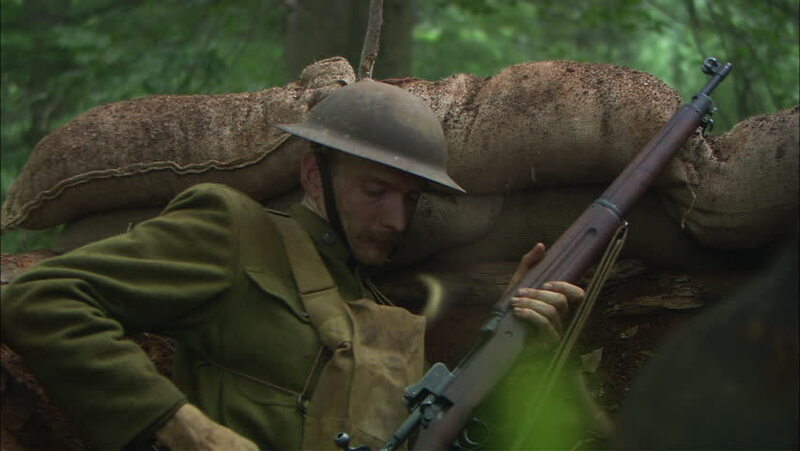 York US Soldier fires bolt-action rifle in combat. muzzle flashes, gunfire in trenches. hd00:11WILLIAMSBURG VIRGINIA - 2016. Re-enactment recreation of 1700s, Colonial Village, Town with houses, barns and taverns. Colonial Williamsburg military encampment with detail of 18th century cannon.